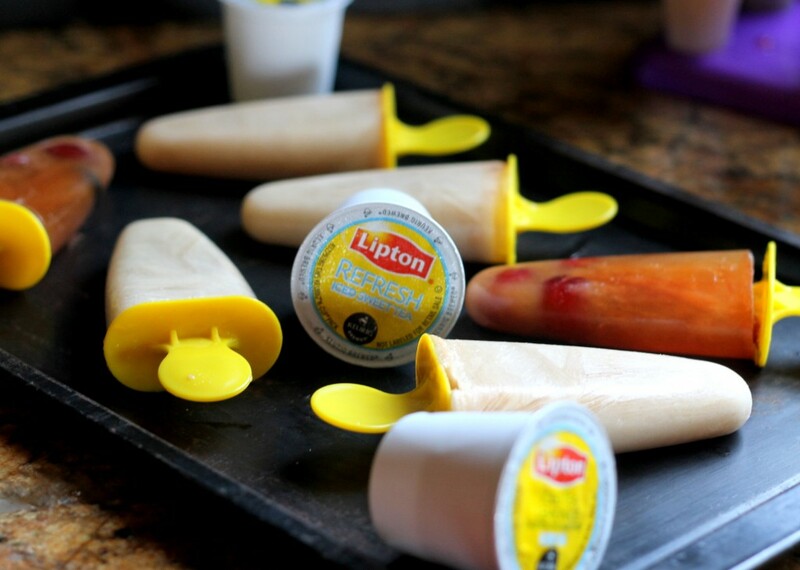 These Iced Tea Popsicles are made in minutes with Lipton Iced Tea K-Cups, and are easily customized to your favorite flavors! Lipton Iced Tea, always and immediately, reminds me of my mom. It brings me straight back to every single car ride of my childhood. Lipton Iced Tea, in powder form from one of those jars with the blue lid, was always sitting in the cup holder in the same big blue cup that was reserved for mom’s iced tea. That cup had stains from years of iced tea use. She would never stir the powder in enough, and I can remember taking sip of her iced tea and getting that little bit of powdered sweetness that lingered on the sides. Lipton was a staple in my house (and car), through the good times and the bad (even causing one of the bad…when my sister’s phone slid right into it). When I was offered the opportunity to try Lipton’s new iced tea in K-Cup form, I jumped on the opportunity. 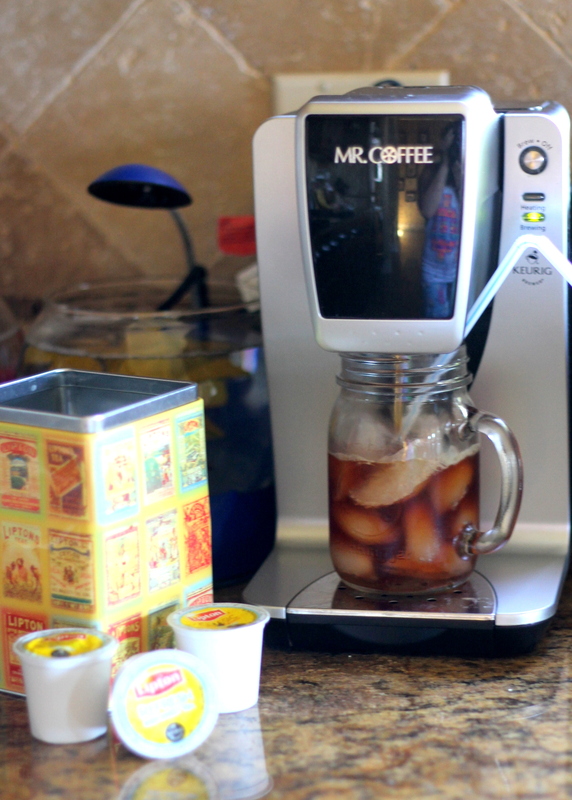 I absolutely love my Mr. Coffee Keurig brewer and use it every single day during the school year to make my morning coffee, and I figured it would be just as awesome to make refreshing fresh-tasting iced tea quickly and easily. It definitely was! Fresh brewed right over ice, it was absolutely perfect. 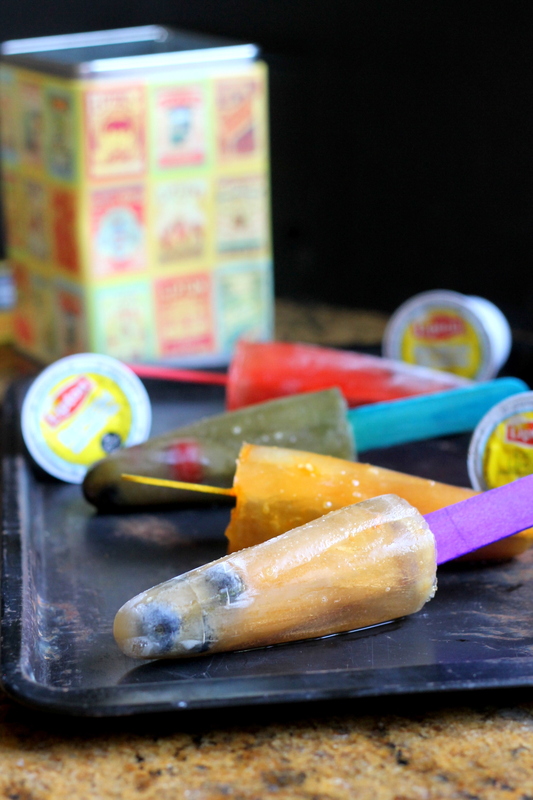 However, once I tasted it, I knew I wanted to play with the iced tea as an ingredient since it had such a great flavor and since it’s starting to really heat up around here – I decided to make some popsicles! To some I added grapes and/or blueberries, and to others I added almond milk and cinnamon! 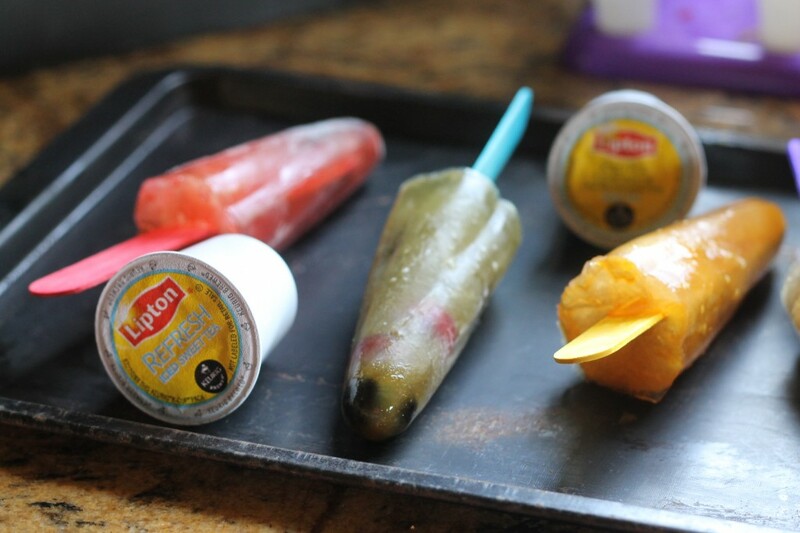 The different flavors of K-Cups available (Tea Lemonade Iced Tea, Classic Unsweetened Iced Tea, and Refresh Sweet Tea) all made different tasting popsicles, but all refreshing and delicious! You guys can purchase Lipton K-Cups in stores and online at nationwide retailers where available! For more information you can check out Lipton’s website, or connect with them on Facebook or Twitter. 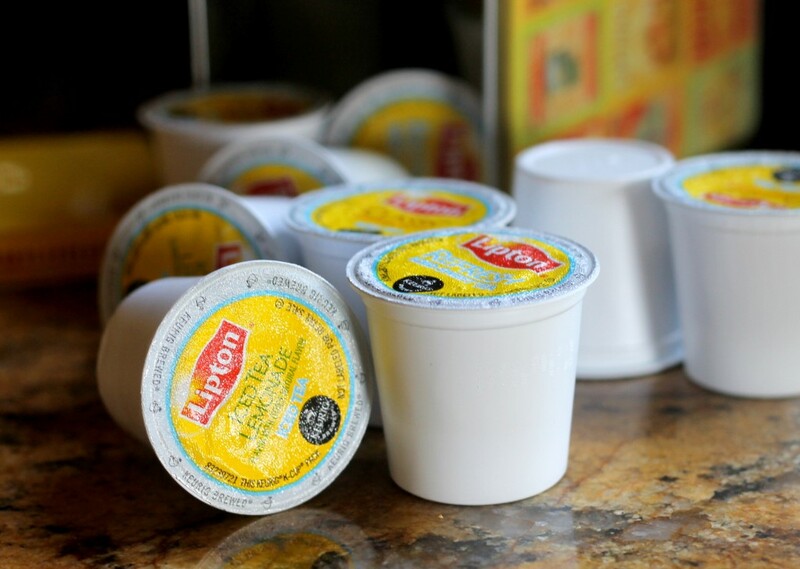 Note: This is a sponsored post, and I was provided with K-Cups to try from Lipton. However, all opinions are my own and I promise I will only support and discuss products that I truly love. In your popsicle mold, place your choice of berries and/or grapes into the popsicle mold. 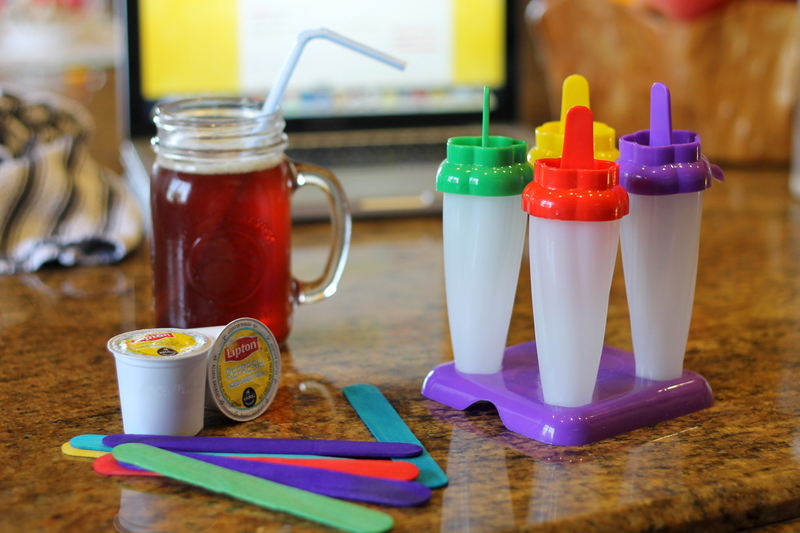 If you don't have a popsicle mold, you can use paper cups. 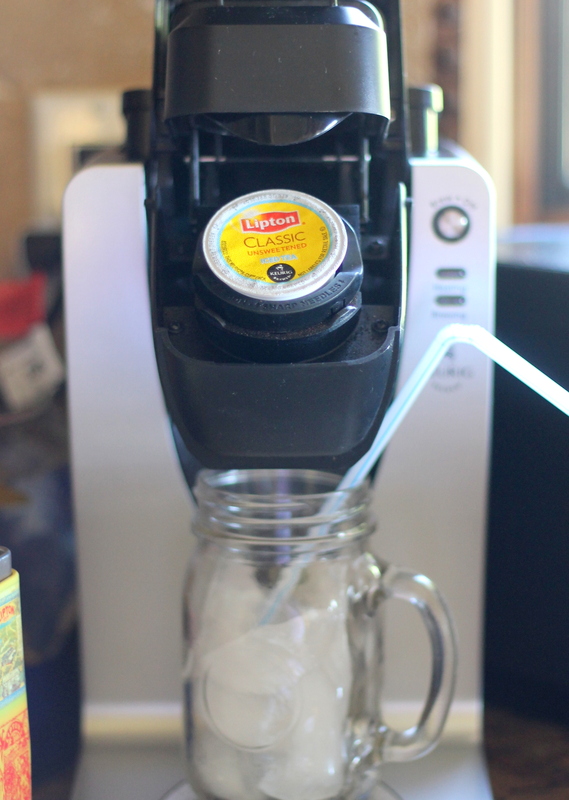 Brew the Lipton Iced Tea K-Cup in your brewer. Pour iced tea into the popsicle mold, over the berries and grapes. If you don't have a popsicle mold with stick attached, cover your mold or paper cups with plastic wrap. Pierce the plastic wrap and place the popsicle stick inside. Freeze until completely solid. Run under hot water for a few moments to release once frozen. 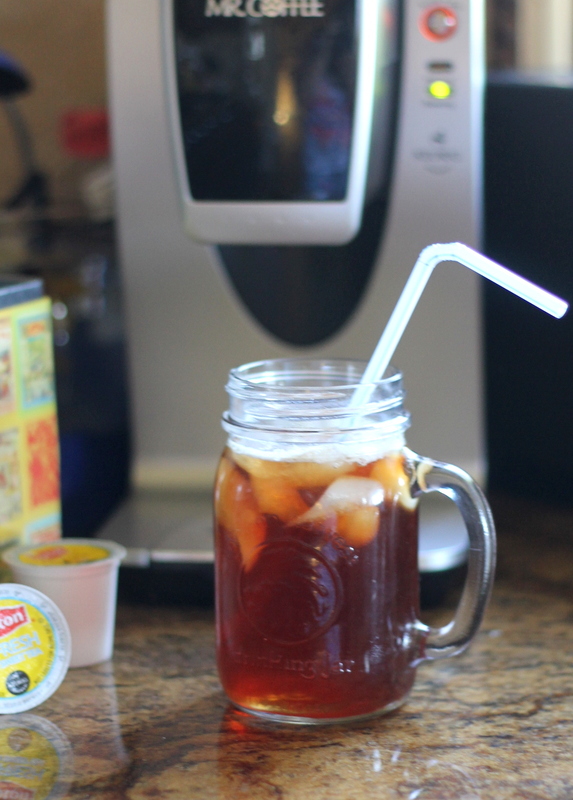 Brew the Lipton Iced Tea K-Cup in your brewer. Stir in desired amount of milk, and add a sprinkle of cinnamon (to taste, I didn't measure!). 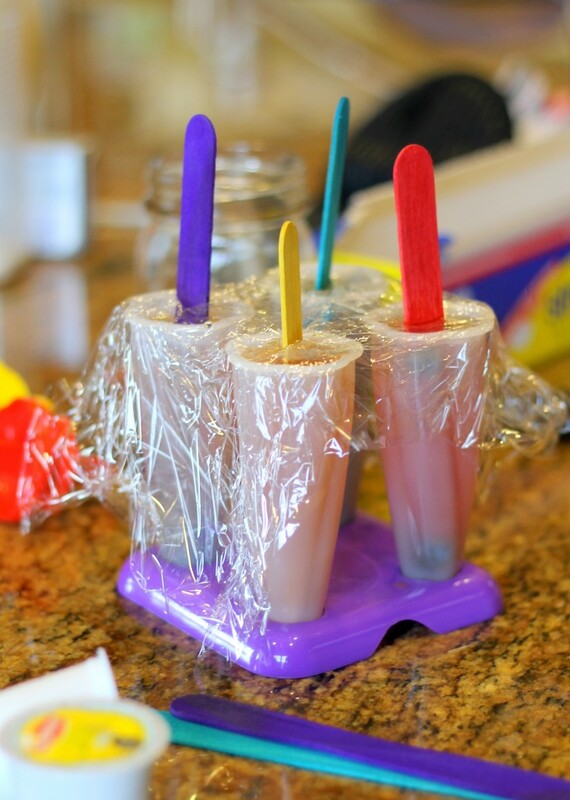 If you don't have a popsicle mold with stick attached, cover your mold or paper cups with plastic wrap. Pierce the plastic wrap and place the popsicle stick inside. These look so great for a hot day! Love the fruity version! Oh my gosh! I love these. The fruit ones seem like the perfect way to enjoy ice tea on a summer day :) I am going to have to get myself some ice tea K-cups now! Thanks for sharing! How perfect are these for summer?? Love them!